By all accounts James Shaw is a fine fellow, and no one disputes his courage or heroism. What he did this past April at the Waffle House saved several lives and stopped a vile, vicious murderer from killing more people than the four killed. Shaw has also rightly continued to insist that the public focus more on Taurean C. Sanderlin, Joe R. Perez, DeEbony Groves and Akilah DaSilva, the four innocents victims, than on him. It is a wonderful thing that his heroism has earned him national acclaim, and no one can or should take that away from him. But there is an enormous difference between acknowledging an act of heroism and receiving something they may not merit. In this instance we’re talking about the awarding of an honorary degree to Shaw by Tennessee State University. An award of valor, a certificate of merit, even creating some type of special honor makes far more sense than giving him a degree for two reasons. First, there are veterans who’ve gone overseas and been wounded, some even killed, to defend the rights of Americans everywhere. They don’t get honorary degrees for their service, and some of them have done heroic things in combat that are even more notable than what Shaw did. On Oct. 22, 1965, Milton L. Olive III, just 18-years-old, smothered a grenade, saved the lives of his platoon mates, and sacrificed his life. 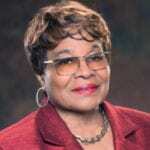 Olive became the first black soldier to be awarded the Medal of Honor for actions during the Vietnam War. Second, he’s an electrician, and certainly has the time for class work and seems more than capable of attending TSU and earning a degree. It would make far more sense for TSU to award Shaw a full two or four-year scholarship. It would be more of an inspiration to young men in the community, and his subsequent diploma would be an excellent addition to his already impressive list of honors. Plus, he would be TSU’s most popular student, and could be utilized for recruiting efforts. No one is saying the school can’t award honorary degrees to whomever they choose, but in this instance giving Shaw the opportunity to get his degree and be part of the student body would be putting the notoriety he’s earned to continued good use, as opposed to it eventually fading away as does all temporary celebrity status. However, the honorary degree is a minor quibble. A bigger problem is his stated intention to run for mayor. Now we are speaking about someone who by his own admission has never been actively involved in politics at any level. Notice he also didn’t say he’d run in a few years, or wanted to begin as a councilman and later become Mayor. No, he wants to start at the top, and is talking about a run in 2019. This would be a travesty because the only reason anyone could give for him running and/or being elected is he was a hero at the Waffle House. Not demeaning what he did by any stretch of the imagination, but using that as the criteria to become mayor is the local equivalent of saying building golf courses and casinos and exploiting bankruptcy laws qualifies one to be president. This nation sees every day what a horrendous mistake it was to elect Donald Trump to the highest office in the land. James Shaw has some commendable personality traits, and we share his desire to bring people together. But wanting to achieve harmony and co-operation in society, while a noble goal, isn’t something that can be achieved by a politician other than in symbolic fashion. That’s a nice campaign stump speech point and little else. A mayor’s primary duties are administrative, particularly in dealing with budgetary priorities. Nashville is in the midst of major transformation, and there are numerous unresolved questions facing the person in charge. These include racial disparities in employment and economic opportunity, the relationship between law enforcement and various communities, the lack of Black males in high positions of power in the city, the imbalance in academic performance in various schools, the ongoing opioid crisis, crime and a murder rate that keeps rising, infrastructure issues, etc. Shaw has cited the proliferation of guns as a central issue, and he’s 100 percent correct about that. But considering the inability of politicians at the national level to craft any type of new legislation regarding guns, and the continuing failure of local municipalities to enforce current laws, one wonders how Shaw thinks a mayor can single handedly change this situation. He references the situation where Travis Reinking’s father returned guns to him that Illinois police had previously taken away. But considering both his and his father’s background, a good case can be made that neither should have had access to that much firepower. The issue of gun control is so complicated no one person is going to be able to generate the wide-ranging change Shaw imagines. Being a Mayor is a grinding, thankless job. Not only are you in charge of city finances, but you must assemble a staff, work with Council members, and regularly meet and understand the demands and pulse of multiple communities with different outlooks, constituencies, interests and goals. On a more basic level, you’ve must organize a campaign, develop a strategy and win an election. We’ve just seen two professional politicians with lots of experience and sizable followings stumble badly in a general election. Both Erica Gilmore and Harold Love Jr. ran competent campaigns with identifiable policy points and made appeals to all parts of the city. Both failed in their quest. The first Black mayor of Nashville will be under enormous scrutiny, far more than what Megan Barry received. She proved unable to handle the pressure and let personal failings compromise and ultimately cost her the office. It’s one thing to be a local hero and talk show favorite. It’s something else to be a candidate for a city’s highest office, where every word you utter is examined, and your entire background laid open to scrutiny. The candidates Shaw would face in 2019 won’t hesitate to point out his lack of experience. They will simply ask voters are you ready to hand over the reins of Nashville at the most critical time in its history to a political neophyte just because he had enough courage to face down an insane killer at a Waffle House? Do you consider that ample preparation for being a Mayor? 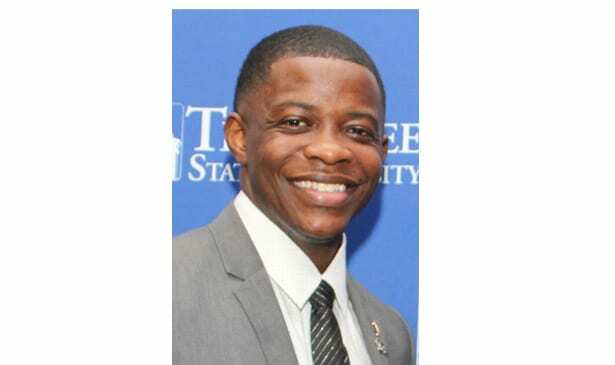 It would be a great thing for everyone if James Shaw would pursue changes in gun policy as a community advocate, and that he consider a run for Metro Council. There he could familiarize himself with the nuts and bolts of everyday political life, while preparing for a future mayoral run. That’s something everyone could support, and his later campaign would represent him running on a background of involvement and activity as opposed to symbolism. We salute and honor James Shaw’s bravery, and commend his achievements. He deserves all the praise, glory, adulation and the Nashville Scene’s 2018 Nashvillian of the Year, but he should NOT be running for Mayor, at least not in 2019.